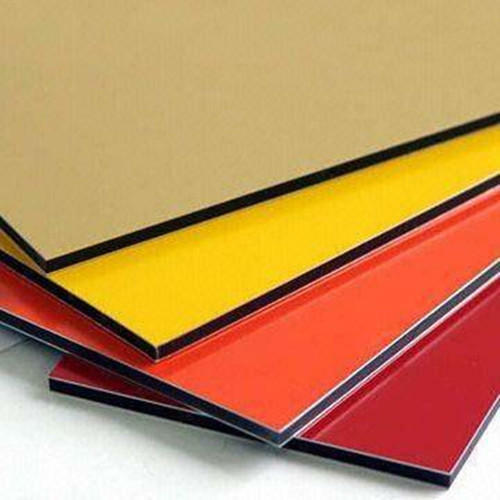 Keeping track with latest market development, we are engaged in providing our clients with a high-quality range of Colored Aluminium Composite Panel. Incorporated in the year 1998, we “Aluco Panels Ltd.” are a Public Limited Company affianced in manufacturing, trading, wholesaling and supplying an assorted range of Aluminium Sheet, Aluminium Composite Panel, Aluminum Profile and Aluminium Section of the brand name Indobond. Located at Pune (Maharashtra, India), we solely believe in offering utmost customer satisfaction. Moreover, our team of dexterous professionals imparts quality approved Fabrication Services, Glazing Services, Aluminium Partition Work, Interior Designing Services and Aluminum Cladding Service to our clients.